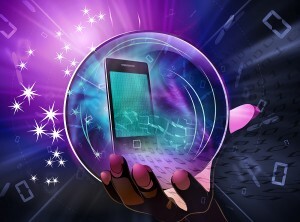 Mobile malware is maturing quicker than PC threats did. Mobile malware analyst Filip Chytry looks into his crystal ball and predicts where cybercrooks are headed next. The majority of mobile malware AVAST has in its database comes from unofficial app stores. As we wrote about in The Fine Line between Malicious and Innocent Apps, infiltrating official app markets like Google Play is rather difficult. Therefore, it is very likely that mobile malware authors will look for other ways to hack mobile devices, which contain a plethora of valuable and sensitive information. App servers and base transceiver stations (BTS), which enable communication between mobile networks and devices, will most likely be targeted next by mobile hackers. Man-in-the-middle attacks via app servers mean that mobile hackers may redirect communication between mobile app users and the app’s server or infect app users’ by pushing malware onto user devices via the apps on their devices. Mobile operators should be prepared for a BTS attack, as this may be possible in the near future. Not only would hackers be able to spread malware to mobile users via a BTS attack, but infected BTS could re-route all incoming mobile data. Another possibility is that hackers could intercept communication between mobile users and app servers. Hackers could retrieve banking details if they intercept the communication between a user completing a transaction using a mobile banking app. Mobile malware is in its infancy; at the moment comparable to a toddler. Mobile users, security providers, app markets, and mobile operators should brace themselves for the teenage version of mobile attacks. AVAST will continue to be one step ahead of mobile malware authors, protecting avast! Mobile Security users from malware and other mobile security risks. Download avast! Mobile Security for free.